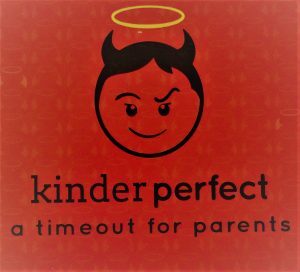 Check Out “KinderPerfect” – A Hilarious Game For Parents Like Us! 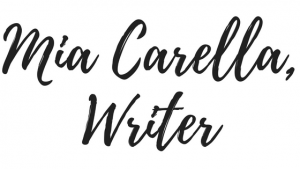 When I first read about KinderPerfect last spring on The Huffington Post and Scary Mommy, I was so excited to play. 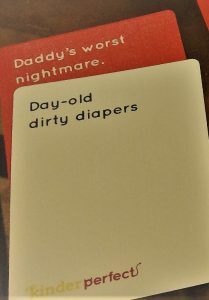 As a fan of games like Apples to Apples and Cards Against Humanity, the idea of a “parent version” sounded great. 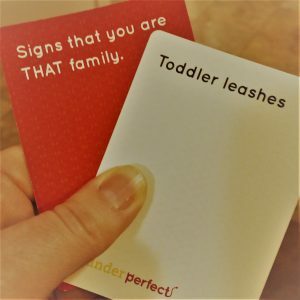 A fun way to relax and connect with your mommy and daddy friends? Yes, please! So when KinderPerfect put out the call to have bloggers review the game a few months ago, I jumped at the chance. As finding time to socialize with other parents without constantly attending to children is difficult, it took a while for me to find the opportunity to play this game. I had the chance this past weekend, and I am so glad I did! My husband and I played with another couple and enjoyed some much-needed laughs together. The game was so much fun, my only critique would be that there should be more Question cards to keep the game going. Well, KinderPerfect has this covered and is working on creating expansion packs in the future. In fact, if you want to submit your own ideas for cards, you can do so here. If you have a dinner party coming up with your parent friends, a moms’ night or any other occasion where you want to laugh with other grown-ups, pick up KinderPerfect now. It is available for sale through Amazon. You won’t be disappointed! 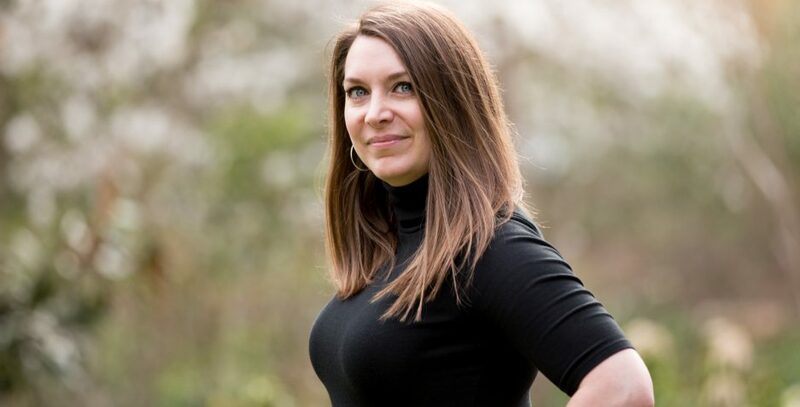 Visit the KinderPerfect website at kinderperfect.com. Note: I was given a free copy of KinderPerfect in exchange for my honest review. All opinions are my own.